As a mom of 6 kids, it’s not very often that I see them all agree on something, especially when it comes to food! We have a picky eater, one that will eat just about anything and one that won’t eat anything green, lol. I just go with the flow and occasionally I hit the jackpot with something that everyone will love. It may not happen often but when it does happen I make sure to take note of it and that recipe becomes part of my rotation. Many years ago on a camping glamping trip when we discovered that all 6 of our kids absolutely love S’mores. S’mores are one of mine and my husband’s personal favorites too, so you know I jumped right onto the S’mores bandwagon. S’mores cupcakes were a hit and omg have you ever had a S’mores cheesecake? S’mores have become a running theme in our house because my kids can’t get enough of the classic treat. A couple weeks ago, some of us were craving S’mores but with the heat we have been having, I was craving something cool too. 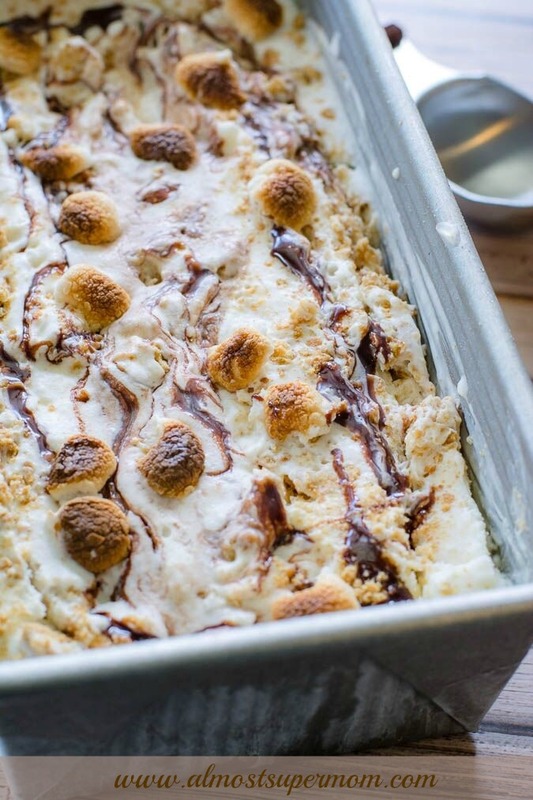 What could I make with the yummy flavors of S’mores, but in a cold, delicious treat instead? DUH! 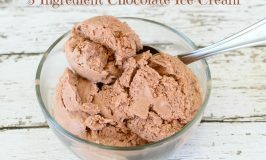 Of course, ice cream! Why didn’t I think of this sooner? 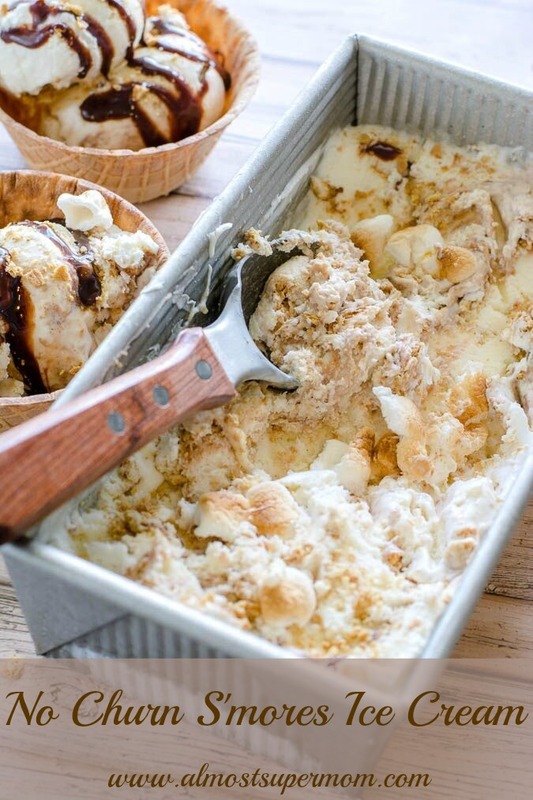 And this is how my amazing No Churn S’mores Ice Cream came to be. Let me tell you, when I say this was a hit, I mean it! 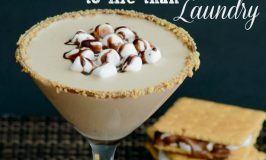 It’s rich, creamy and S’moresy. Yes I know S’moresy isn’t really a word but just go with me on this one, okay? Hubby and I had to put some aside for ourselves so the kids wouldn’t eat it all. They can’t get enough of it. 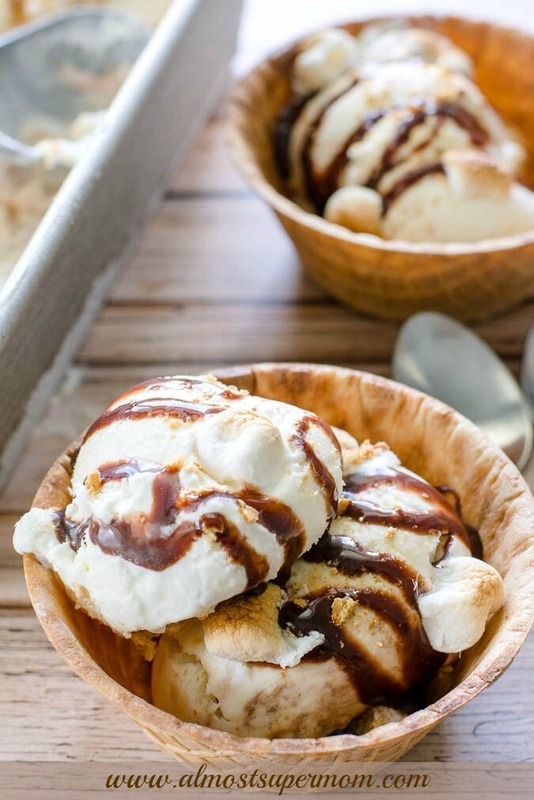 The best part of this No Churn S’mores Ice Cream is that it’s so easy to make. 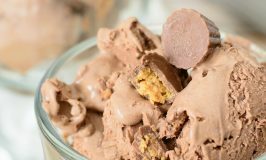 Anyone can pull this recipe off, I promise! 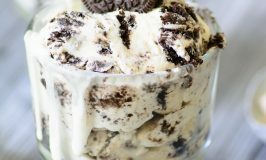 Combine cream and sugar in a blender and blend on high for 45 seconds or until thick and creamy. 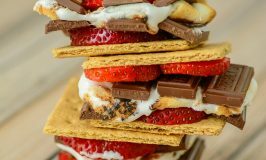 Do you love S’mores as much as we do? 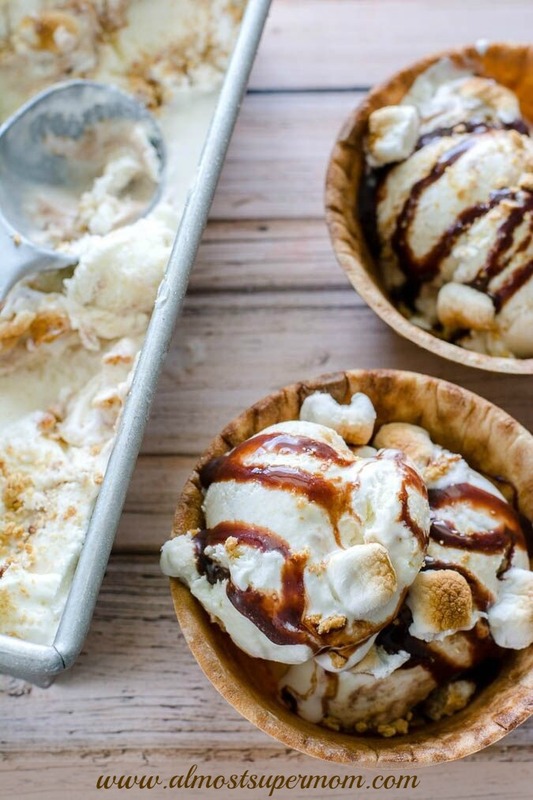 If the answer is yes than you are going to love my No Churn S’mores Ice Cream. It’s like being in front of a camp fire roasting marshmallows and making S’mores, well without the fire that is! Let me know if you try it and let me know if you love it! Yum, yum, yum! 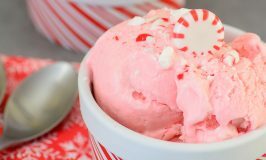 You had me at "ice cream" :) Thanks for sharing with Merry Monday!